Hello everyone, for the third time today!!! I’ve been super busy!! 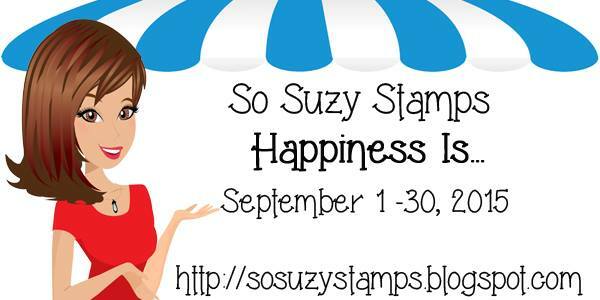 I’m here today with So Suzy Stamps September 2015 Blog Challenge!! 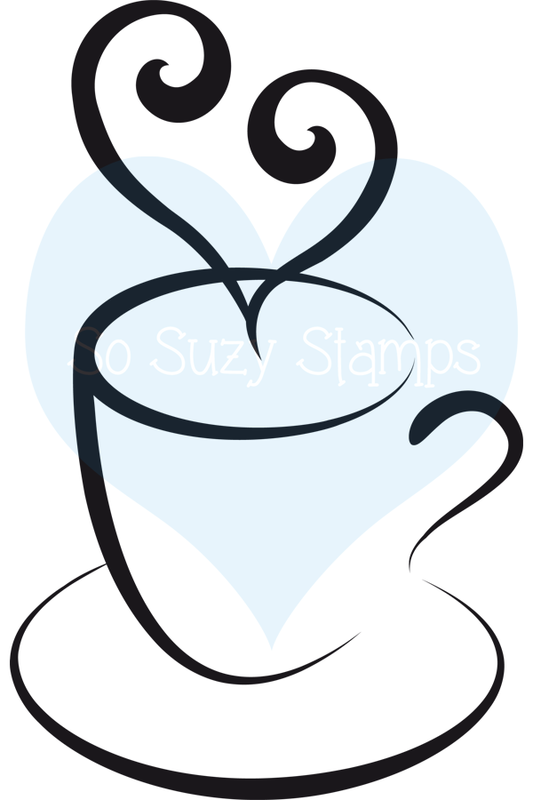 I stamped So Suzy Stamps Tall Coffee Cup using Versamark ink onto my card base. 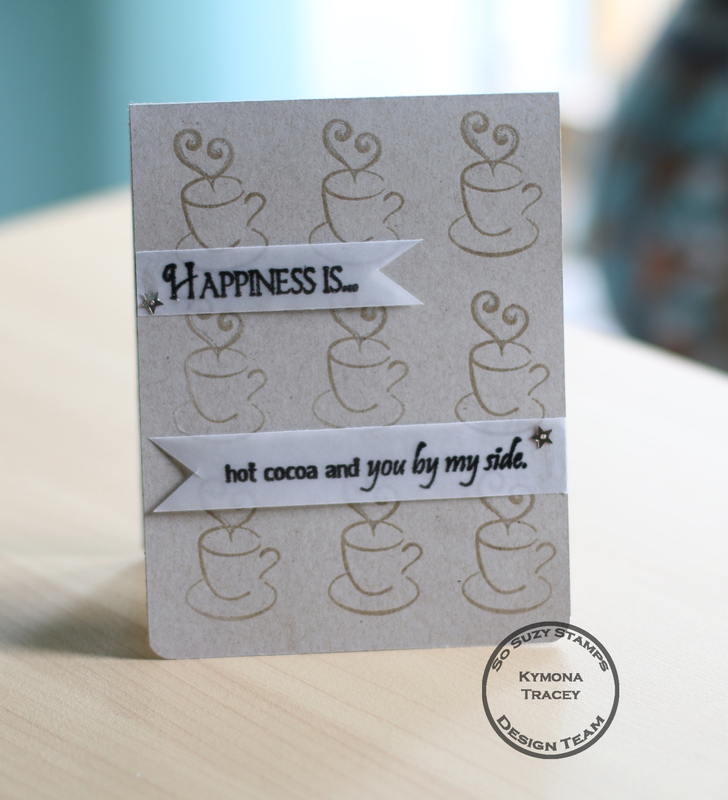 Next I stamped So Suzy Stamps Happiness Is… Stamp and Hot Cocoa onto vellum with My Favorite Things Hybrid Ink. I cover the stamped sentiment with Hero Arts Clear Embossing Powder before the ink dried. I heat set it and the sentiment now has a glaze on top of it. I flagged the vellum pieces and adhered them to the card front with Tombow Multipurpose Glue. I added two gold stars and gold ink to the center of the hot cocoa steam to finish the card off. Amazing and so gosh darn sweet!!! Love the vellum banners – you aced this card!! !